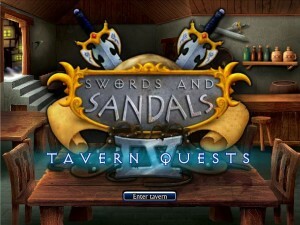 Swords and Sandals continue its gladiator combat adventure with mew edition of Swords and Sandals 4: Tavern Quest. You should be ready to expect more upgraded new skin, features, and fascinating characters are waiting in this Swords and Sandals 4 full version. Not only having bloody gladiator’s combats, but you will also enter more dangerous world. You will also find more fun games through its new various minigames, battles, and adventures across an epic 8 realms of danger and adventure. Now, you can play along with your friends up to 4 human players on one computer to get more fighting, experience, gold, and longer adventures. Like the previous game, you will be asked to set your character species, hairstyle, combat specialty, and many more. The new feature is selecting character class with their own unique skills including Mage, Paladin, Bards, and Fighters. Last, set your gladiator’s vital statistics up to 10 skill points specific to the class and you will earn more additional 2 points in every 2 levels up. Don’t forget to supply your gladiator with weapons, armour, spells, and many other from the shops. So, have you ready? Now, it’s time for you to have a combat up to 70 level and beyond, 23 minigames, ad unlock 23 Arena Champions. You will definitely have more fun in Swords and Sandals 4 full version than the previous version!